After the cool bronze model introduced as a pre-SIHH teaser, here's the more classical but equally desirable steel model. 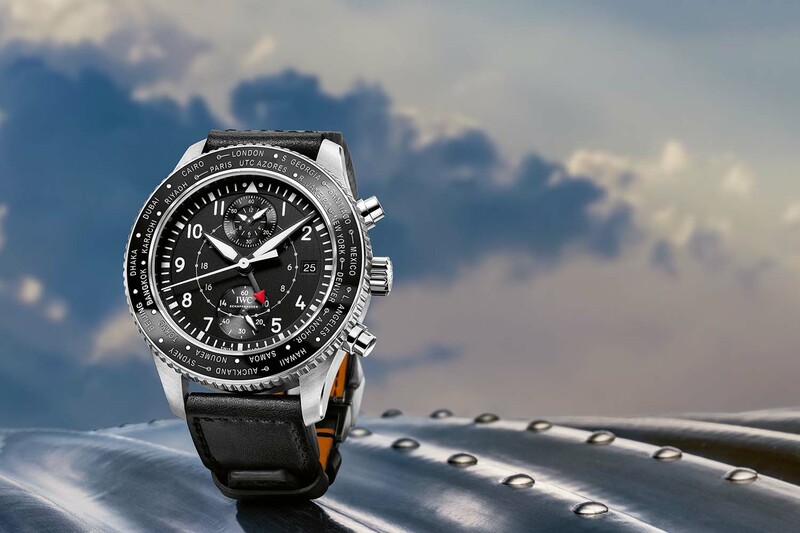 As part of its pre-SIHH 2019 novelties, IWC presented a pilot’s chronograph – the Pilot’s Watch Chronograph Spitfire Bronze – with plenty of reasons to love. “Vintaged”, smaller than the previous Pilot’s Chrono, equipped with a new manufacture movement and with a cool green dial and bronze case combination, it made quite an impression on us. However, bronze isn’t for everyone… And the good thing is that the SIHH 2019 brings this same watch in a more classical material. 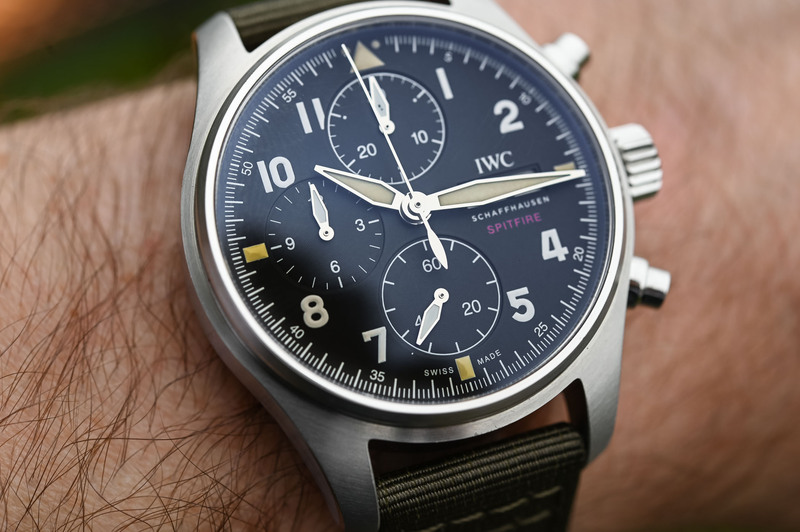 Meet the IWC Pilot’s Watch Chronograph Spitfire 41mm Steel IW387901. 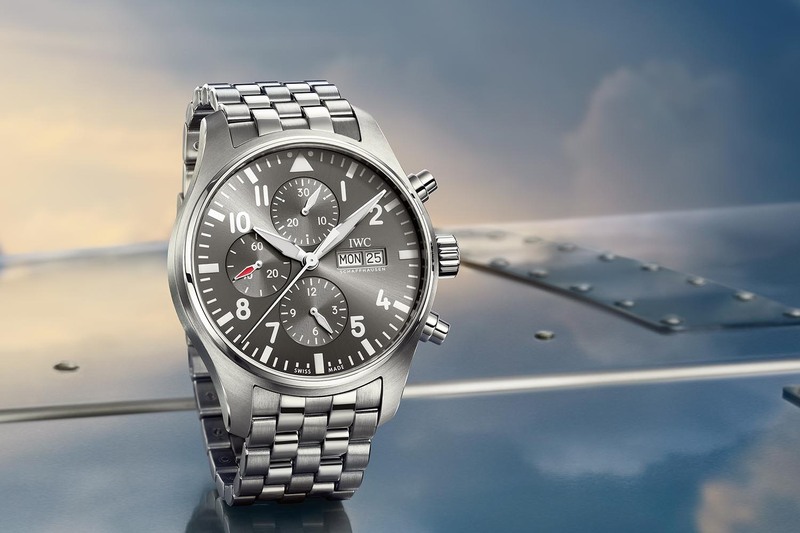 IWC started working on the Pilot’s Chronograph earlier this year, with the Pilot’s Watch Chronograph IW377724, a slightly vintage-inspired piece reintroducing some of the design elements found on the Mark XI and the 1990s ref. 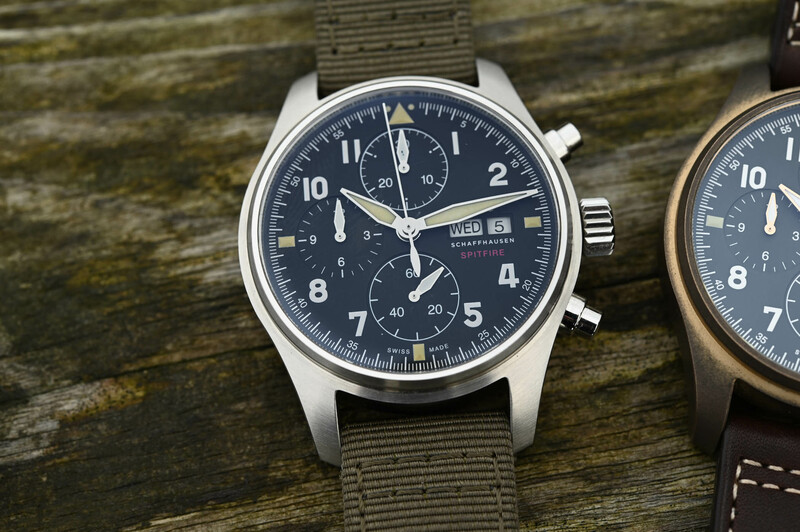 3706 – the simple Flieger Chronograph, without the rattrapante function. Basically, this watch was the modern iteration of the model that relaunched pilot’s watches at IWC. Yet, it was still large at 43mm and still powered by a Valjoux-based movement. There was room for improvement. Side by side, the steel model IW387901 and the bronze model IW387902. As part of the pre-SIHH 2019 watches, IWC introduced the Pilot’s Watch Chronograph Spitfire Bronze, a watch that was still inspired (in a way) by the Mark XI and the 3706 but that introduced several new features. The case, even though in bronze (a choice that is always debatable), was smaller at 41mm in diameter. The dial, because of these new proportions, also felt more balanced, and it featured the cool display of the old IWC pilot’s watches. And last but not least, the watch was fitted with a “manufacture” movement, something new in this collection. The good news is that if you are not a fan of bronze cases, there is now a steel option. 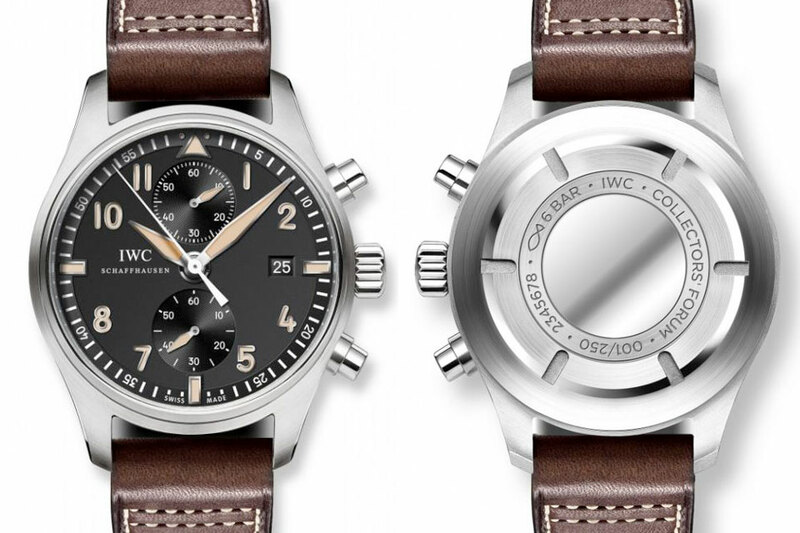 The new IWC Pilot’s Watch Chronograph Spitfire IW387901 is basically a steel version of the bronze model. The case keeps the same proportions, with a 41mm diameter and a 15.3mm thickness (IWC’s chronographs have always been rather thick). Because of the different material and the different finishings (the case is mostly brushed and crown and pushers are polished), the watch offers a very different sensation on the wrist. 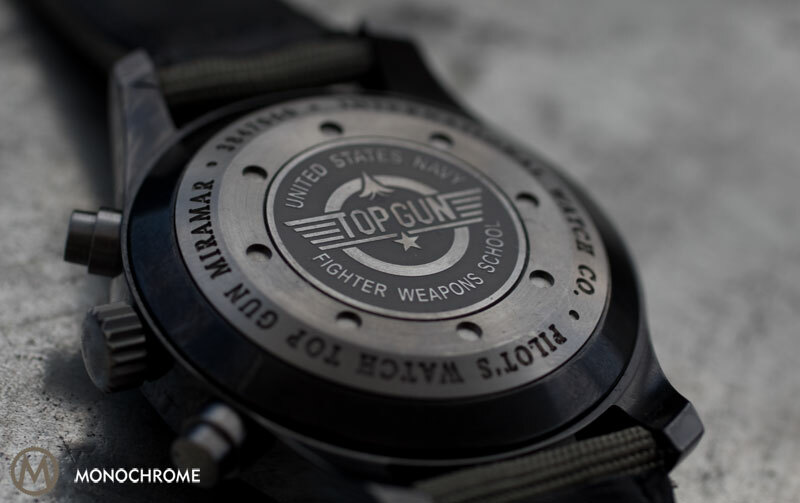 The caseback is also in steel, with a Spitfire decoration. While the bronze model featured an original olive green dial, the steel IWC Pilot’s Watch Chronograph Spitfire IW387901 relies on classical codes, with a black dial. The hands are now rhodium-plated to match the case and the inscriptions are all white. Another difference with the bronze version concerns the luminous paint on the hands and indexes, which is now cream-coloured for a more antique look. Other than that, the display/layout and indications are exactly the same. Inside the case, and hidden by a soft-iron inner case for protection against magnetic fields, is a movement of the 69xxx family – introduced first on the 2016 Ingenieur and recently used on the Portugieser 150th Anniversary 3716. This automatic movement is based on an integrated/column-wheel architecture. The new chronograph calibre has been designed and developed from the ground-up together with ValFleurier (Richemont Group production facilities), as the new entry-level chronograph of the brand to slowly replace Valjoux ébauches. 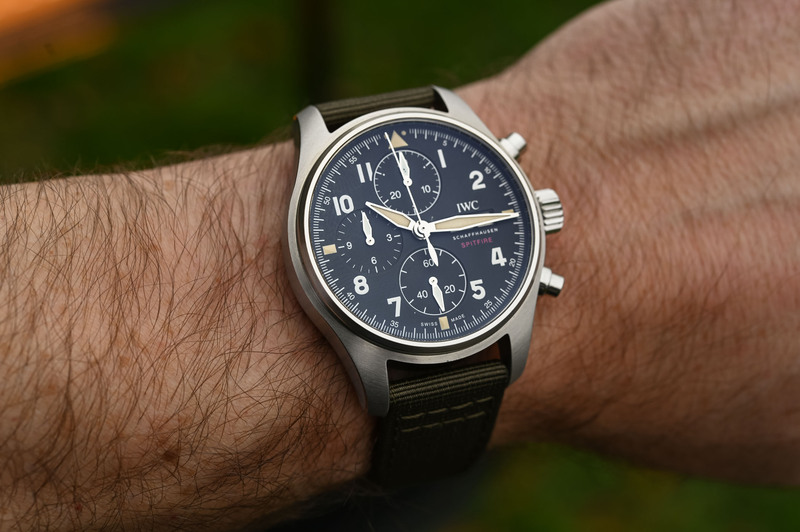 The new IWC Pilot’s Watch Chronograph Spitfire Steel IW387901 is definitely a nice addition to the collection, which returns to a more toolish spirt and better proportions. This watch isn’t limited in production. The price will be EUR 6,400. More details at iwc.com. Thanks for the nice read. 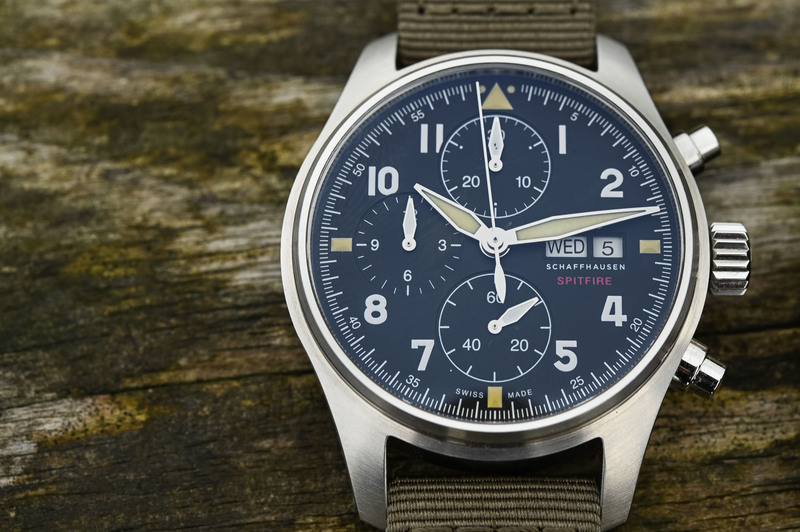 On the IWC website this watch does not have the red tekst Spitfire on the dial, can you check if it will be with or without the red tekst ? Thanks. 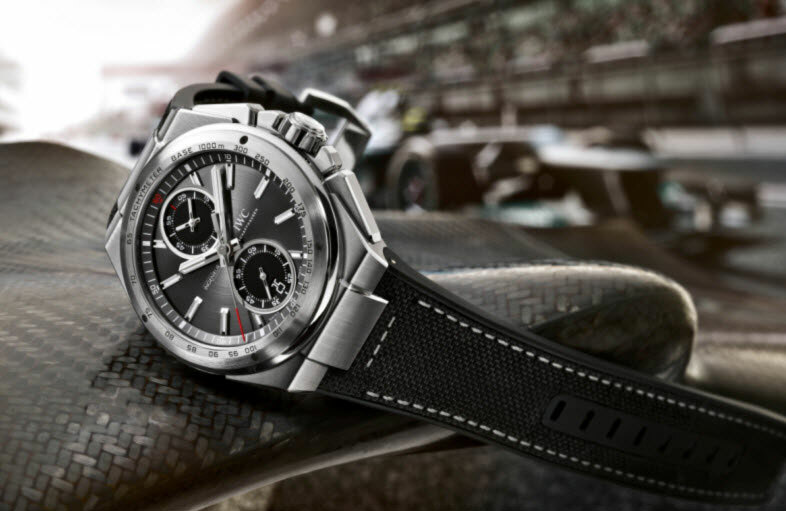 I remember IWC’s CEO saying in one of the product presentations that the final version of the chronos would be done without the Spitfire inscription, whereas the three-hander model and the UTC would still have it. Any word on whether the current 3777 line will be fitted with the new in-house movement? 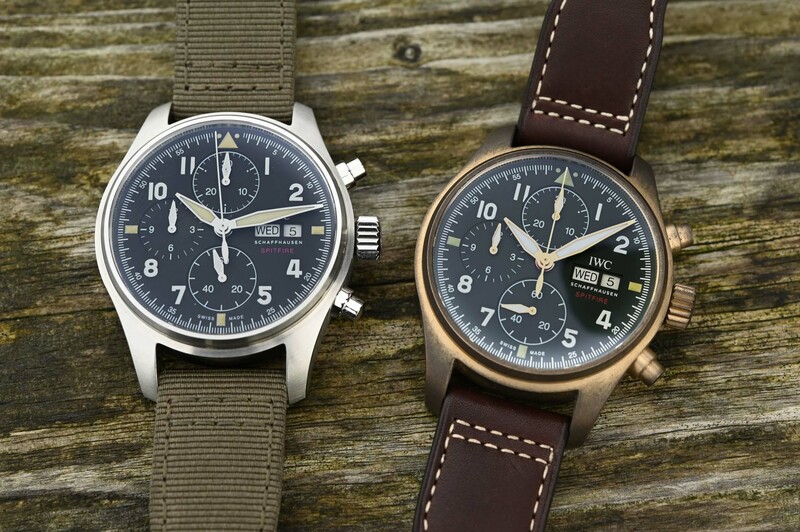 Really nice watch , I held back from buying some of the earlier pilot’s watches due to the use of Valjoux & Sellita based movements but now these new models are a whole new ballgame ! I’d be happy not to have ‘ Spitfire ‘ on the front as the dial is already somewhat busy . What I like the most is the 41mm diameter.